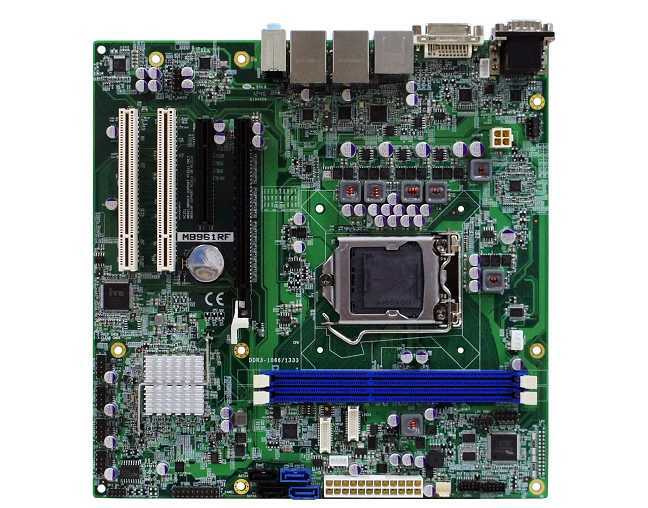 The MB961 is a Micro ATX Motherboard based on the 3rd Generation Intel® Core™ i7/i5/i3 processors that are built on a new 22nm manufacturing process. The MB961 features iSMART, IBASE’s green technology with EuP/ErP power saving and intelligent scheduler that improves its environmental performance. Utilizing Intel Q67 chipset, the motherboard supports processor-integrated graphics device supporting a range of display outputs including HDMI™, DVI-I and 24-bit LVDS. Two DDR3 DIMM sockets accept a maximum of 16GB memory. 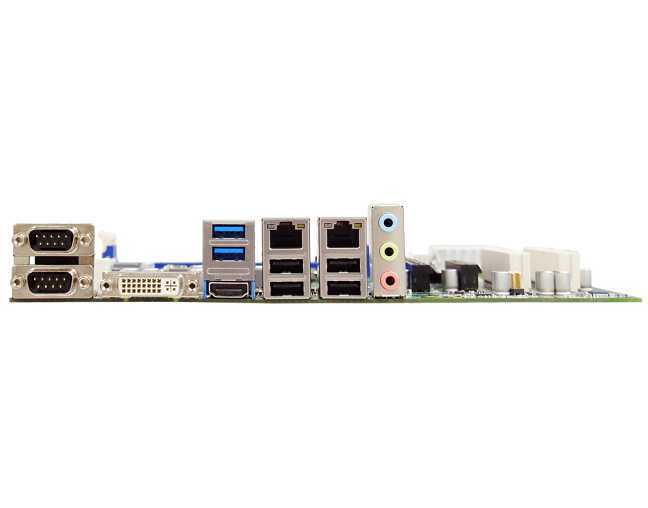 Providing reliable all-round performance and versatility for multimedia-intensive applications in the automation, medical, POS and gaming sectors, MB961 offers the latest connectivity features with two Gigabit Ethernet, two USB and two SATA III ports (MB961RF). Other interfaces include four serial ports, SATA II and USB 2.0 ports, digital I/O and RAID (MB961RF). 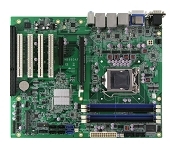 Expansion is provided by one PCI-E(x16, one PCI-E(x8) and two PCI slots. MB961 currently comes built in two chipsets, Q67 (MB961RF) and H61 (MB961F), and are now available.